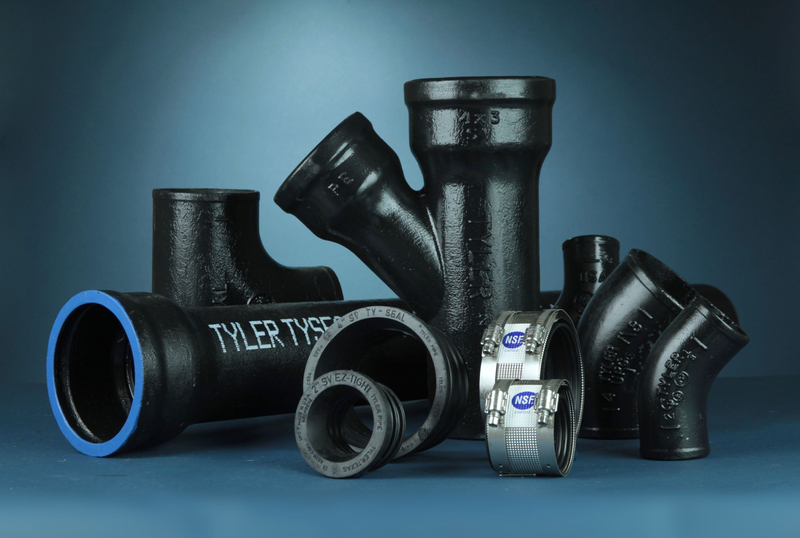 Tyler Pipe - Service Reps, Inc.
Tyler Pipe standard no-hub couplings are manufactured in accordance with CISPI 310 and are designed to join cast-iron pipe and fittings in drain, waste and vent applications. 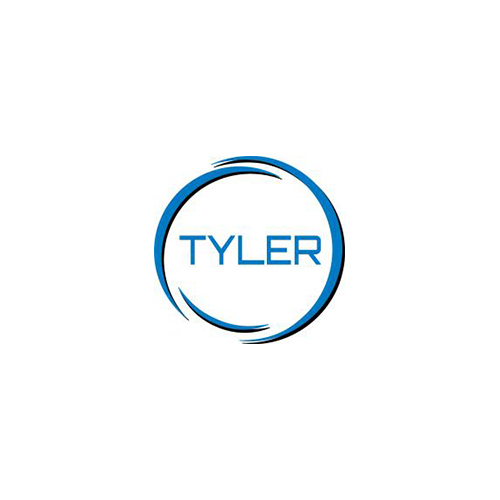 Each coupling includes two components: a molded, one-piece neoprene sealing sleeve and a 300 series AISI stainless steel shield/ clamp assembly featuring compression bands over our trademark diamond corrugation shield pattern. 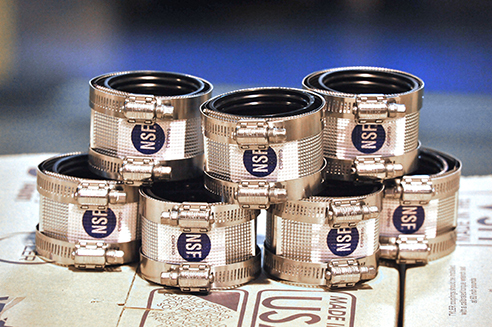 No-hub couplings are available in sizes from 1½” to 15″ in diameter.